We hosted "Veterans First Fly Fishing" at Eagle Canyon today. This is a group of volunteers that helps provide therapy to our armed forces vetarans through fly fishing classes and outings. 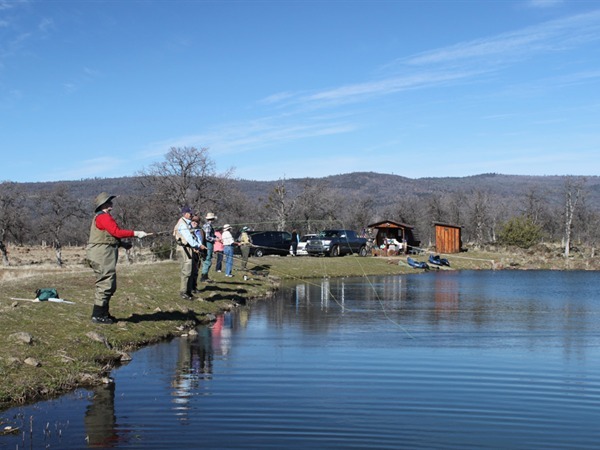 The participants have been going to fly tying and fly casting classes on a weekly basis. Some even fished today with flies they had recently tied. The volunteers, headed by Ken Brunskill and Larry Lack, put on a great lunch and assisted the participants on the water. It was a great success and we look forward to hosting this group again next year.